I absolutely adored ‘The Crane Wife’. It made me cry at the start, possibly at the end and a few time, with laughter, through the middle. It has been a good few weeks since I read the book now and I still find myself pondering what has happened to the characters since, always the sign of a good read, and the writing just blew me away. Patrick Ness says in this book that “A story forgotten died. A story remembered not only lived, but grew.” I hope this story grows to be a huge success as it certainly deserves to be read and loved. I really loved ‘Maggie and Me’. I related to it – something that only happens to your very core or bones once or twice in a blue reading moon – and empathised with it. It was the sort of book my younger self was crying out for someone to put in my hands. I can only hope some lovely relatives, librarians, teachers or other influential bods make sure this is passed on to both the younger generation, especially those who call rubbish things ‘gay’, and to everyone they know really. Books like this help make being different both more acceptable and understandable, we need them. ‘A Constellation of Vital Phenomena’ is one of those books that Gran would say ‘manages to educate you on something you have little knowledge of’ and ‘makes you walk in a strangers steps, even if the stranger is fictional’. It is a book that isn’t a comfortable read by any stretch of the imagination yet, and I know I am sometimes stuck on repeat when I mention this, I don’t think that fiction should always be neat and comfortable. Sometimes we need brave bold books and authors like this to highlight what is going on or has gone on which we know little about. Anthony Marra took on a challenge that even an author on their tenth book might not take on and he excels at it. I urge all of you to give this book a try. What Lemaitre actually does with ‘Alex’, which is far more interesting and potent is make you question, as the twists come, what you think is and isn’t morally right and soon this gripping thriller starts to ask so really serious questions of its reader and their ethics. A very clever move indeed, provide a book that makes you think hard about what you might do or what you find to be the ‘right’ thing for someone to do whilst also creating a read which is a complete page turner that has the readers jaw dropping as they go. That is what has made it my thriller of the year so far, it’s genius, and I personally cannot wait for the next one in the Camille series. Atkinson is a master of prose in my eyes. I love the way she gives the readers discreet asides and occasional knowing winks. I love her sense of humour, especially when it is at its most wicked and occasionally inappropriate. I think the way her characters come to life is marvellous and the atmosphere in the book, particularly during the strands during World War II and during the London Blitz (though I didn’t think the Hitler parts of the book were needed, even if I loved the brief mention of Unity Mitford) along with the tale of her possible marriage were outstandingly written. There is also the element of family saga, the history of Britain from 1910 onwards and also how the lives of women have changed – all interesting themes which Atkinson deals with throughout. I thought The Language of Dying was a wonderful book for its rawness and emotion. It is a book that I really experienced and one which I am so glad I have read for the cathartic and emotional effects it had on me (I was openly weeping often) and proved that sometimes books are exactly what you need and can show you truths you think no one else quite understands apart from you. I can’t recommend it enough, without question my book of the year. I have to say I struggled with this list rather a lot. If any of you have listened to the latest episode of The Readers you will have heard me shamelessly cheating as Gavin and I discuss twelve books we are each looking forward to in 2014. 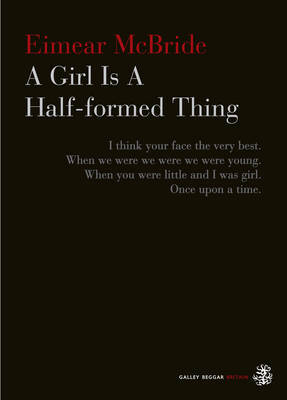 So I will here cheat slightly and say that Taiye Selasi’s Ghana Must Go, Charlotte Mendelson’s Almost English, Maggie O’Farrell’s Instructions for a Heatwave, Bernadine Evaristo’s Mr Loverman, and particularly both Deborah Levy’s Black Vodka and Eimear McBride’s A Girl is a Half-Formed Thing, could all easily have made the cut. Maybe I should have created a top twenty? So which of these have you read and loved? What have been your books of 2013? What are you doing for New Years Eve? One of the biggest surprises for me in 2013 is that this year has lead to me doing a complete u-turn on my opinions of books based around war, in particular WWI and WWII, with special reservations for the latter. Having studied it so much at school and then read so, so, so many novels about it I guess I just felt there was nothing new to be found in it and actually that as a subject for me it was over done. Then I went and read HHhH by Laurent Binet, and indeed Magda by Meike Ziervogel, and the originality of the writing and the way the books were structured and what they were trying to say made them stand out and ignited my interest in the subject once again from the very different angles which they portray events. Laurent Binet’s HHhH is a work which cleverly tells three stories. Firstly there is the story of Operation Anthropoid, which during WWII in 1942 saw two parachutists sent on a mission from the UK to assassinate Reinhard Heydrich. 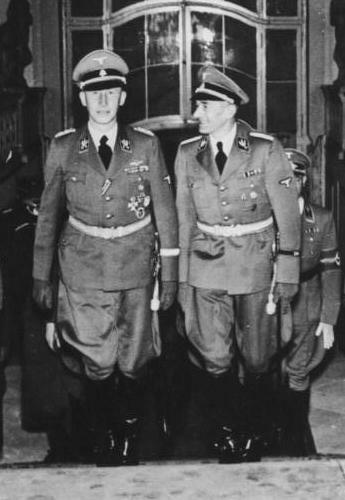 The second story is that of Heydrich himself and how he came to be the chief of the Nazi secret service and on of the most trusted and feared men in the regime. Thirdly it is also the story of a man called Laurent Binet who is trying to write a book, be it fiction or non-fiction, on Heydrich and Operation Anthropoid. If you think this meta-factional book sounds confusing then please don’t because it is actually utterly amazing and is a book likely to make you gasp, laugh and cry often within a few pages. For some people the very idea of the author of a work popping into the text would be an annoyance regardless of the subject matter, with something as harrowing as the second world war it is a huge risk for Binet to take but one that I am so grateful he did as this is what stops it from becoming a book with just facts and figures, no personality, no emotion behind it and no real lasting effect. Binet’s narrative/writing has all of those things in abundance and what makes it all the more affective is that he writes the book from the first moment he really discovered the story of Operation Anthropoid when he discovered where it ended and we join him from that moment as his interest and intrigue are piqued and as he discovers more and more about these brave parachutists and this monster Heydrich, and all they do, we as the reader also become more and more engrossed. There were still fresh traces of the drama that had occurred in this room more than sixty years before: a tunnel dug several yards deep; bullet marks in the walls and the vaulted ceiling. There were also photographs of the parachutists’ faces, with a text written in Czech and English. There was a traitors name and a raincoat. There was a poster of a bag and a bicycle. There was a Sten submachine gun (which jammed at the worst possible moment). All of this was actually in the room. But there was something else here, conjured by the story I read, that existed only in spirit. This could have become too much and with all the descriptions of how Heydrich changed how Jews, and anyone who got in his way, were killed could simply have made me want to run away from the confrontational imagery that it depicts. Binet does something clever here, which could have easily epically failed him, by inserting a sort of light humoured alternative (or interrupting)voice of himself as he shows how farcical some of the Nazi’s idea’s were, and how far delusions of grandeur went, as well as interjecting his own voice about the nightmare of writing a book. Of course I could, perhaps I should – to be like Victor Hugo, for example – describe at length, by way of introduction, over ten pages or so, the town of Halle, where Heydrich was born in 1904. I would talk of the streets, the shops, the statues, of all the local curiosities, of the municipal government, the town’s infrastructure, of the culinary specialities, of the inhabitants and the way they thin, their political tendencies, their tastes, of what they do in their spare time. Then I would zoom in on the Heydrich’s house: the colour of its shutters and its curtains, the layout of the rooms, the wood from which the living-room table is made. Following this would be a minutely detailed description of the piano, accompanied by a long disquisition of on German music at the beginning of the century, its composers and how their works were received, the importance of Wagner…and there, only at that point, would my actual story begin. As I said this is very risky some people might be put off by sections such as the above or lines such as Once again I find myself frustrated by my genre’s constraints. No ordinary novel would encumber itself with three characters sharing the same name – unless the author were after a very particular effect or All good stories need a traitor. Personally I thought it was brilliant. He both manages to show the horrors of the time and then also highlight with hindsight how utterly horrendous those horrors were, which gives the book a double whammy effect. He also holds your hand when things get tough in a way; you are going through this story and this time together and as his enthusiasm and admiration for the parachutists increases, along with his mounting anger at the Nazi regime, so do yours. I found the ending of the book incredibly emotional and incredibly hard going but boy, oh boy, was I glad (which seems the wrong word, maybe thankful is better) to have gone through it. HHhH is one of those rare books which change your perceptions, where you feel your world has been altered by reading it. In Binet’s case (and I must here say a huge congrats to Sam Taylor with his translation and capturing the authors nuances) it made me not only think about the importance of remembering what happened in WWII he also reminded me of the importance of history and of how and why we need to keep telling these stories – and indeed the stories of how we tell these stories. Everyone should read this book; I think it should be on syllabuses in schools around Europe. To hear more discussion on Laurent Binet’s HHhH listen to the first episode of Hear Read This where you can hear myself along with Gavin, Kate and Rob talking about it in more detail.